The RAIN RFID Alliance gets together three times a year to discuss our mission to enable businesses and consumers to identify, locate, authenticate and engage items in our everyday world. As the Chairman of the Healthcare Workgroup, seeing the exciting innovations at the meetings and witnessing the growth of the Alliance, which now includes over 150 members such as Amazon, Google and Impinj, is always inspiring. July’s Alliance meeting in Seattle was no exception. RAIN RFID is transforming industries. Here are three of my takeaways from the meeting. 1. The impact of RAIN RFID in enabling and simplifying the internet of things is felt across industries. While I have a front row seat to the innovations in healthcare powered by RAIN, it’s impressive to see how other industries including retail, airlines, food service and more have benefitted. In his session titled “Tomorrow’s IOT Forecast: RAIN“, Chris Diorio, Founder and CEO of Impinj, discussed various use cases, including that of Delta Airlines, which is working with RAIN to improve luggage handling, reduce the incidences of lost luggage, speed bag offloading, and improve the customer experience. 2. You don’t have to be a Fortune 500 company to improve operations with IOT enabled by RAIN RFID. A recent article on the Inc. website outlined “How Any Company Can Save Money with the Internet of Things”, citing inventory control as a specific example, where retailers can track inventory and automate the re-ordering process. Nowhere is this more evident than in the healthcare space, where hospitals benefit immensely from the inventory visibility and workflow efficiences that RAIN RFID provides. In a session titled “RFID Shows Its Versatility Even in Smaller Rural Hospitals” Shelton Monger, CIO of Wayne Healthcare, described how implementing a number of RFID initiatives has helped Wayne Healthcare improve patient security and satisfaction. 3. RAIN RFID is enabling hospitals to improve patient health and safety. In a session titled “Increasing Medication Safety and Efficiency in Healthcare with RAIN” Emily J. Tschumper, Pharm.D., M.S. from North Mississippi Medical Center discussed how implementing RAIN-enabled solutions for medication management in the pharmacy helped to increase medication safety. 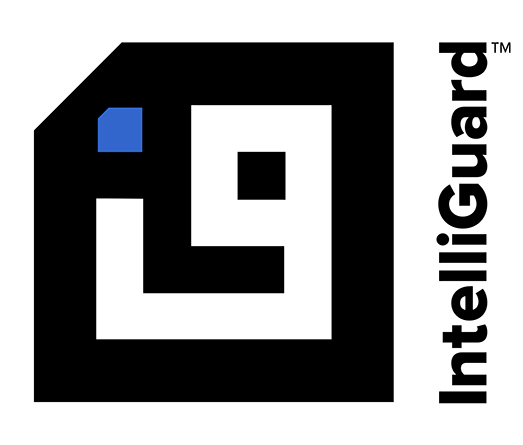 Due to the success of that program NMMC has now launched the RFID-enabled Intelliguard® Linked Visibility Inventory System™ in their operating rooms, increasing visibility to medication and narcotics across their organization. In addition to reducing errors and stock-outs, the workflow efficiency enabled by the new system is anticipated to allow NMMC to treat an additional 50+ more cases per year. These are just three examples among many informative sessions at this Summer’s event. With the growth in RAIN adoption, we also have some interesting challenges and opportunities. As Chris Diorio stated, the Alliance is working on defining how data collected from RAIN tags is stored and shared with stakeholders, enabling them to make better informed decisions. Visit the RAIN Alliance websiteto view a full list of the July meeting presenters and access individual presentations. RAIN RFID (radio frequency identification) is a wireless technology that connects billions of everyday items to the internet, enabling businesses and consumers to identify, locate, authenticate and engage each item. Individual items are “tagged” with a small RAIN tag that has a unique identifier, enabling item-level tracking and visibility. The RAIN RFID Alliance is a global organization promoting the universal adoption of RAIN technology solutions across many different vertical markets. Learn more at rainrfid.org.